Kino Lorber have announced that they will release on Blu-ray The Pink Panther Cartoon Collection: Volume 1. The box set will be available for purchase on January 30. Audio commentaries for selected films, by author Mark Arnold, historian Jerry Beck, filmmaker Greg Ford, cartoon writer William Hohauser, music scholar Will Friedwald, and veteran DePatie-Freleng story-man Bob Kartz -Interspersed throughout find archival sound-bites from animation pioneer and DePatie-Freleng Enterprises co-founder, Friz Freleng himself. I think this is fantastic. I love the Pink Panther and have the DVD box set as well. I have the complete Looney Tunes Platinum Collection on blu ray and those cartoons looks incredible in HD. I imagine this will have the same effect. Sounds interesting, but curious about price point. I'm one of those weird people who liked the Inspector and the Ant & the Aardvark cartoons (and already own the Kino collections) way more than the Pink Panther ones. But then I like Goodfeathers and Slappy Squirrel cartoons more than Animaniacs...so its probably a trend with me. In the Amazon link I put up, it's currently $30. But I bet that drops before release. I think I picked up the Looney Tunes sets when they were about $15 each. I'm glad Kino put out the second volume. That shows some commitment to releasing all the Pink Panther cartoons. Last edited by mattysemo247; 07-20-18 at 12:40 PM. 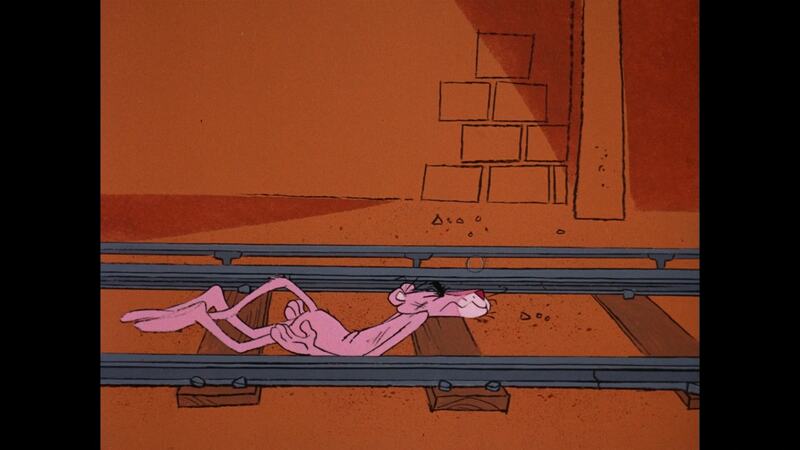 Did the Pink Panther actually do anything in those cartoons? He walks around, often getting into trouble through no fault of his own. So this brings us to episode 84 out of 124. We should be getting close to a complete collection. How are the extras on these? I enjoyed these as a kid, and I'll watch some of them on streaming every now and then, but they don't have the same "charm" to them that the Looney Tunes or old Disney shorts did. And doing so saying absolutely NOTHING, and usually with no spoken dialogue from anyone else involved as well. I've got some of the MGM DVD volumes of this and have been meaning to check out the subtitles and captions, plus see if there's any sort of alternate language tracks on them. Unfortunately, the new Kino Lorber Blu-rays are overly DNR'd which completely ruins at least one cartoon on Volume 3. 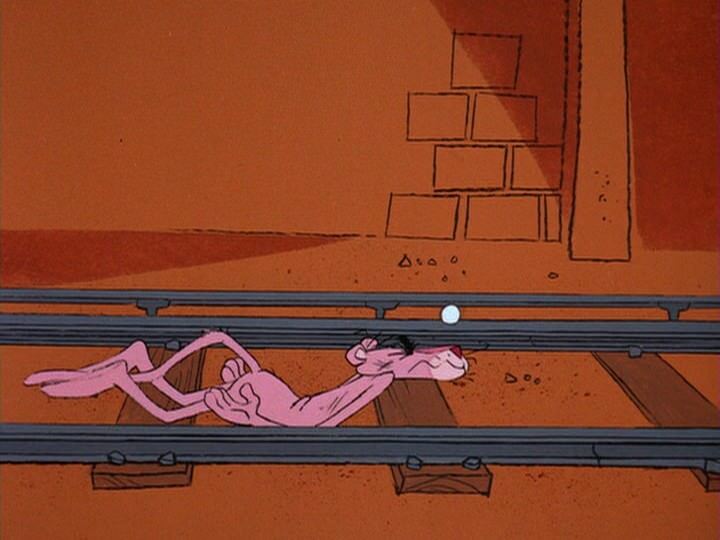 In "The Pink Quarterback", the whole premise is that Pink is chasing a coin around Manhattan. But because Kino Lorber blindly applied heavy automatic DNR, in many frames the coin itself was apparently considered noise and so Kino's software erased it! That is awful. Kino's quality control has gone down the tubes since they expanded their slate of Blu-ray releases. I am glad that Kino seems commited to releasing all of them on Blu-ray. From the numbers I've seen, home video releases significantly tail off in sales once a third or fourth volume is reached. Yep, volume 6 should be the final one and might still make it out by the end of the year. I'm hoping they do some sort of box set since I haven't picked any of them up yet. View Next Unread WTF is Warner doing?